Celebrate International Women’s Day with Monsoon Asian’s & Pacific Islanders in Solidarity! 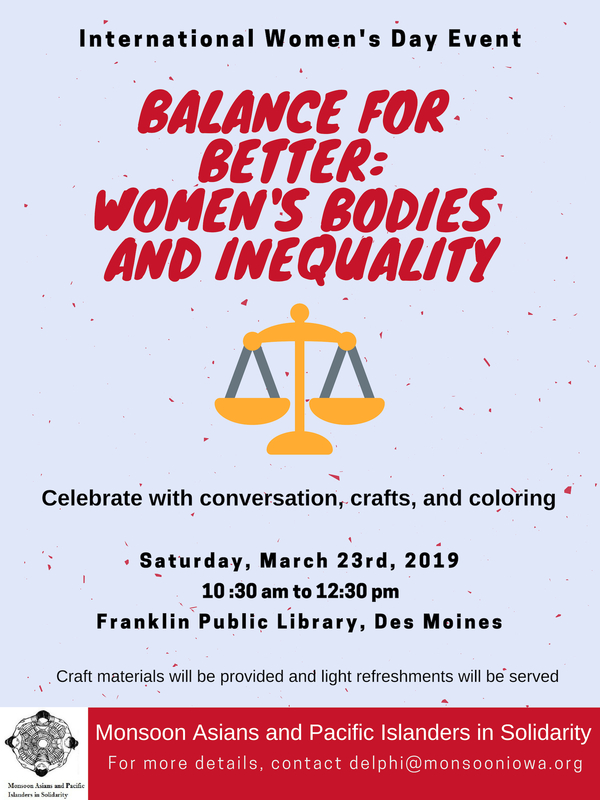 Join us at the Franklin Public Library in Des Moines on Saturday, March 23, 2019 from 10:30am-12:30pm for conversation, women’s crafts, and coloring. Craft materials will be provided and light refreshments will be served. 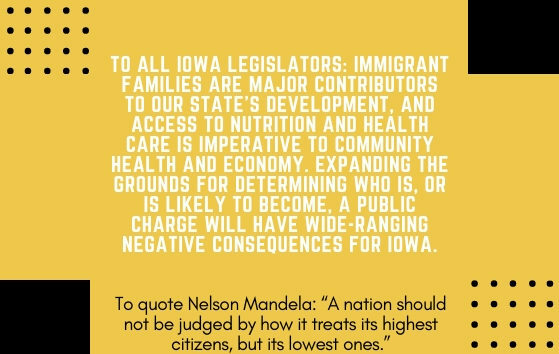 For more information, contact Delphi at delphi@monsooniowa.org.